LeBron’s finally taking a breather this summer by skipping the Rio Olympic Games to chill with the Larry O’Brien trophy, but that doesn’t mean that we’ll see his signature Nike LeBron line slow down anytime soon. While Nike Basketball has outfitted the Nike LeBron Soldier 10 in a patriotic USA theme just in case someone on the USA Men’s National team wants to slip into a pair, the Nike LeBron 13 Low‘s color options are a bit more eclectic. 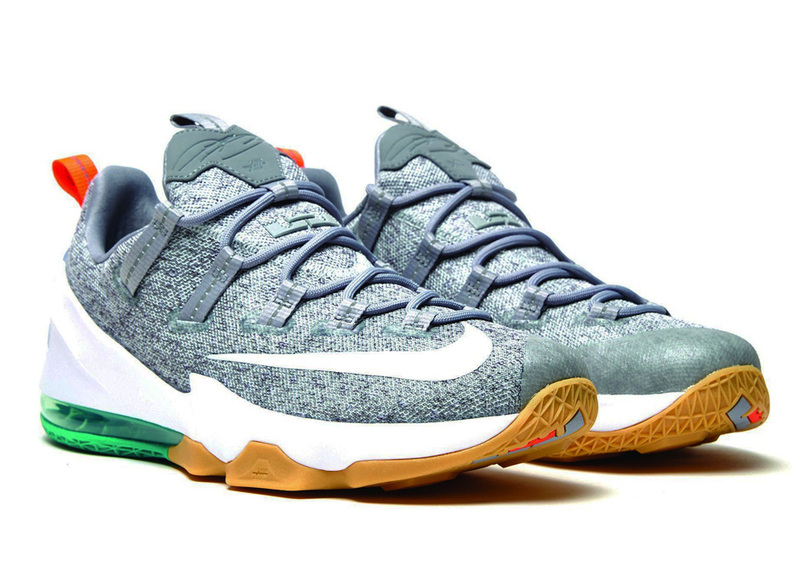 Today we get to see a preview of an upcoming colorway that returns to Miami for a Hurricane’s like combination of green and orange in sparse accents. A unique Stealth grey hits the upper as a new construction skips out on the large perforations seen in past releases. 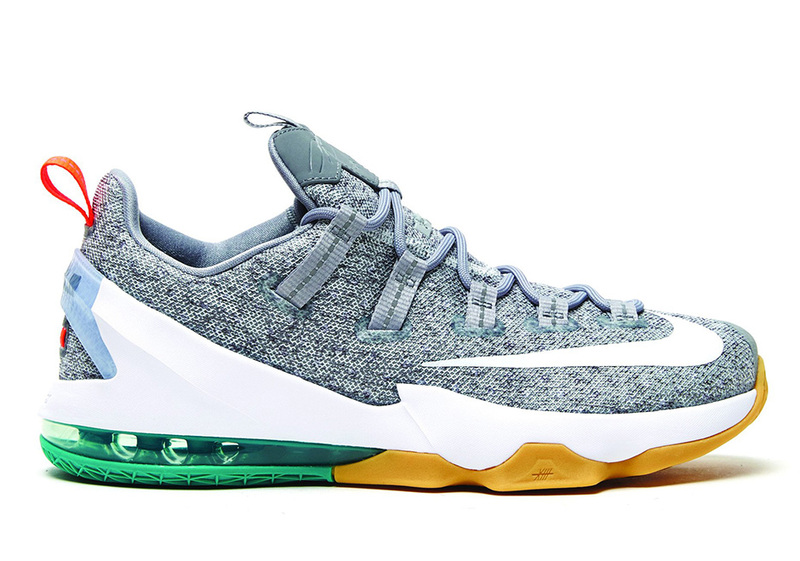 This LeBron 13 Low is aided by a classic gum outsole while an icy heel panel is contrasted by Bright Crimson on the heel tab and a kelly Green visible air unit. What do you think of the look? Stay tuned for a release date in the near future, and if you can’t wait no that select sizes are available today via Unknwn.